Hearing loss is very common. Several things can cause hearing loss, such as noise, genetics (you inherit it from your parents), infections, illnesses, tumours, medications, and injury. Most people lose some hearing as they get older. Age-related hearing loss, which is also called presbyacusis (pres-by-ac-u-sis), can range from mild to severe. It is the most common cause of hearing loss in people over 55 years old. It usually happens in both ears and affects your ability to hear high-pitched sounds first. If you have any sudden changes in your hearing you need to see your doctor urgently (within one day if possible). You may need to have an urgent hearing test and start medication. You should also talk to your doctor about any new ringing in your ears (tinnitus), especially if it is in only one ear. You might not need to treat mild hearing loss. You can do some things that will help, such as asking people to speak clearly. How hearing loss is treated depends on the cause – it may be with medicines or surgery. Some things that cause hearing loss are reversible, such as wax in your ears, ear infections or glue ear. However, if your hearing loss is permanent, hearing aids may help you to hear better. 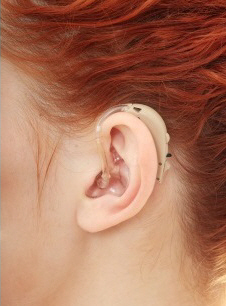 If your hearing loss is severe, you might be able to get a cochlear implant. This page on Patient.info explains how hearing works and some of the most common kinds of hearing loss. You can also download information sheets on hearing, hearing loss, and treatments from the Hearing Association. Loud noise can damage your hearing, but you can stop this type of hearing loss (called noise-induced hearing loss) from happening. To protect your hearing, avoid very loud noise or long periods listening to loud noise. Even loud noise around the house can damage your hearing. This pamphlet explains how it causes hearing loss, and how to prevent it. The National Foundation for the Deaf also provides information about noise-induced hearing loss. If you lose some or all of your hearing because of an injury or noise at work, ACC may cover you for the injury and for help for managing in your everyday life. This page explains what you need to do to make an ACC claim. Hearing aids make sound louder to help you hear it. There are several different types of hearing aids. Which one works best for you will depend on what you need the hearing aid for, and how you want it to look. It may depend on what type of hearing loss you have and the shape of your ear. Audiologists usually assess your hearing needs and fit hearing aids. It is worthwhile getting the correct hearing aid, as it can make a big improvement to your quality of your life. You can read more about hearing aids on the Audiological Society website. The Ministry of Health subsidises hearing aids for adults – this means you may still have to pay part of the cost. Hearing aids are free for children and teenagers. The New Zealand Audiological Society explains the many other ways you may be able to get financial help to pay for adult hearing aids.